Greg Curry | Support for Greg, who – along with many others – was unjustly indicted and convicted during the aftermath of the Lucasville prison uprising: Greg is innocent! Convicted following false testimony from prosecutors using snitches in return for favors. Unjustly in the Ohio supermax since 1993! 5) Create a small garden, help a elder maintain theirs. We must be reactive and proactive! There are no border walls between good and bad air, good and bad water. The earth is ours, lets reclaim it! Posted in Uncategorized and tagged care for our elders, care for our environment, Earth Day, fracking, gardening, Greg Curry, toxic prisons on April 21, 2019 by justice4gregcurry. Last year on the 25th anniversary the State of Ohio silenced me and my comrades whom are on death row from any communication with the outside world. Afraid our message of truth justice and equality for all would be too radical, as a result, our comrades Ben Turk and Joyce Jones was barred from our visit list. 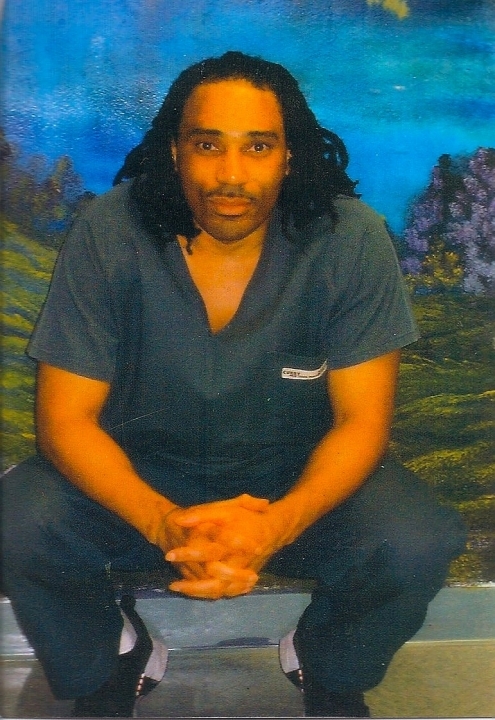 Siddique Hasan has been put on extended communications restrictions and Bomani Shakur (aka Keith LaMar) has officially been given a execution date. I’ve finally been transferred out of Youngstown only to find that the van carrying me out of Youngstown carried a load of ideas on how this prison in Toledo could further harass me. Just a year ago we recognized 25 years since America’s longest prison riot. By now most of you know the details of the event that immediately brought in a unyielding era of state oppression from the selection of judges, and prosecutors to bribing witnesses to lie on us all while being harassed and assaulted by prison staff. Harassment that has been constant for 26 years now for those of us that speak out, that refuse 2 accept unjust verdicts as legally binding. Through cell shakedowns, book censorship, lengthy delays in email processing if the email contain any mention of how we can fight the system. I’ve been under constant ”investigation” for 26 years. Now yet still I must march forth and I need the support, wisdom, connections of those of you you there that recognize enough is enough. Silence is complicity! To the victorious brothaz known as the vaugn17, yes the criminal trials are over, yes the loss of your property, the prison transfers, delay in mail deliveries, staff harassment, maximum penalties for minor rule violationsis all part of state oppression designed to test your will. There is a group of us here in Ohio that has had to deal with this 26 years and counting one of my co-defendants passed away this year while being held hostage. Don’t be surprised, be prepared. Share your experience with young soldiers so they will know what can be gained, and be honest about the pain. The pain of accepting oppression and the pain of fighting it. Be clear this struggle is happening whether we acknowledge it or not, oppression knows no boundaries has no limits, it aims to control our actions and reactions. Prepare soldiers you’re proud to have in the trenches with you, comrades. Reflections 26 years after the fall and mental rising lets get free!!! Posted in Greg Curry, Uncategorized and tagged Greg Curry, innocence, Lucasville prison uprising, Ohio, torture on April 12, 2019 by justice4gregcurry. This shirt is being sold in support of Greg Curry, an innocent person convicted during the aftermath of the Lucasville Prison Uprising. Greg is serving life in prison in Supermax for crimes he did not commit. All shirt profits will go directly to Greg. Please click here to order the teeshirt and wear it with pride! Posted in Greg Curry and tagged Greg Curry, Lucasville Amnesty on April 9, 2019 by justice4gregcurry. It has been quite a year for me personally. As many of you know, I was finally let out of the SUPERMAX prison after 25 years. Actually, I wasn’t LET out, many of you made demands, continually called, refused to give up, prayed, legally put the STATE on notice, or some combination of the above. PEOPLE POWER at its best. Many of you have never expressed any particular feeling for me specifically, yet your love for humanity is felt by your actions, not your words. Many of you continue to be concerned about my adjustment at a regular prison and I just want y’all to know I feel you, I’m adjusting I’m looking forward to getting my case in the courts this coming year. Your support on all levels the pictures, cards, hugs, calls, visits, they all keep me connected, keep me looking forward to FREEDOM. Let’s make the new year even bigger. And those of you that could have done better, well it’s never too late! I need you, this struggle for JUSTICE needs you. Let’s love with our actions. Posted in 2018, Greg Curry and tagged 2019, 25 years Lucasville injustice, Greg Curry, love, Lucasville injustice, New Year's messages, Ohio on December 16, 2018 by Justice for Lucasville Prisoners.